Live2Lead will be presented in Peachtree City Friday, Oct. 12, at Peachtree City Christian Church. The world-class leadership simulcast event is hosted by Lead Grow Rich and Patti Kadkhodaian, Executive Director with the John Maxwell Team. Live2Lead is a leadership development experience designed to equip you with new perspectives, practical tools, and key takeaways. Live2Lead will be presented in Peachtree City Friday, Oct. 12, at Peachtree City Christian Church. 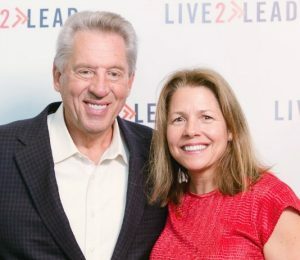 The world-class leadership simulcast event is hosted by Lead Grow Rich and Patti Kadkhodaian, Executive Director with the John Maxwell Team. Live2Lead is a leadership development experience designed to equip you with new perspectives, practical tools, and key takeaways. Sponsors of the event include Eaton, The Citizen, Fayette Woman, Hanna Brothers, Golf Rider, Dirt1x Mahaffey Orthodontics, Peachtree City Christian Church, and ARKAY Studios. John C. Maxwell, leadership expert, bestselling author, and coach. John C. Maxwell is a #1 New York Times bestselling author, coach, and speaker, and was identified as the #1 leader in business by the AMA and the world’s most influential leadership expert by Inc. magazine. You’ll learn to master the art of the shift with Maxwell so you can increase your agility and keep your leading edge. Carly Fiorina, former CEO of Hewlett-Packard and 2016 U.S. presidential candidate. Understand the value of change with Fiorina so you can prepare your organization for its next great leap. Daniel Pink, New York Times bestselling author and time management expert. Apply Pink’s insights on the science of timing so you can make decisions faster for greater impact. 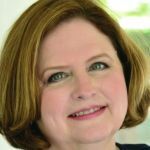 Debra Searle, professional adventurer, motivational speaker and founder of four companies. Grasp the power of choice with Searle so you can tap into the mindset of the most successful leaders in the world. You’ll breathe new life into your leadership during this information-packed half-day event. Learn from world-class leadership experts and return to your office ready to implement your new action plan and lead with renewed passion and commitment. Live2Lead is designed to deliver the very best leadership content to inspire and motivate you and your team. Plus connect with other influencers in your community and expand your business network with relationships that produce tangible results. Peachtree Christian Church is located at 500 Kedron Dr. in Peachtree City. For more information contact Patti Kadkhodaian, event organizer, at (678) 472-1199 or visit l2lptc.com. Previous articleCraft brewery directly across from Fayetteville City Hall?